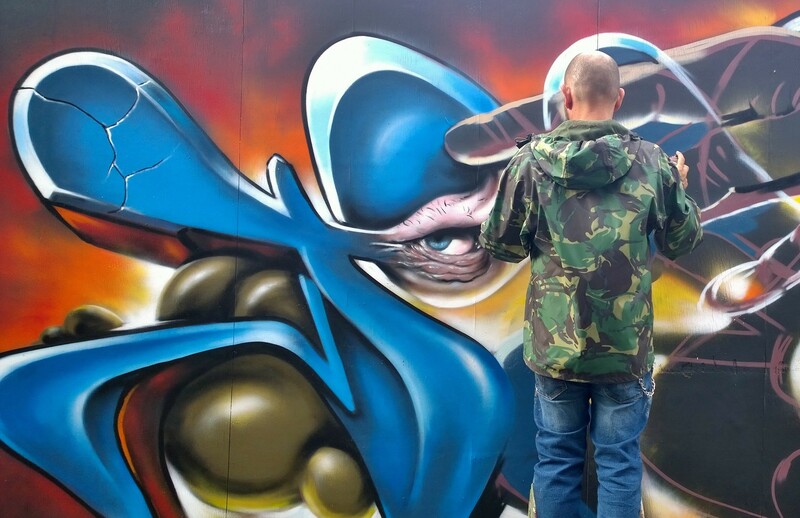 The worldwide phenomenon that is the Meeting of Styles returned to London this weekend for what is now it’s fifth year. 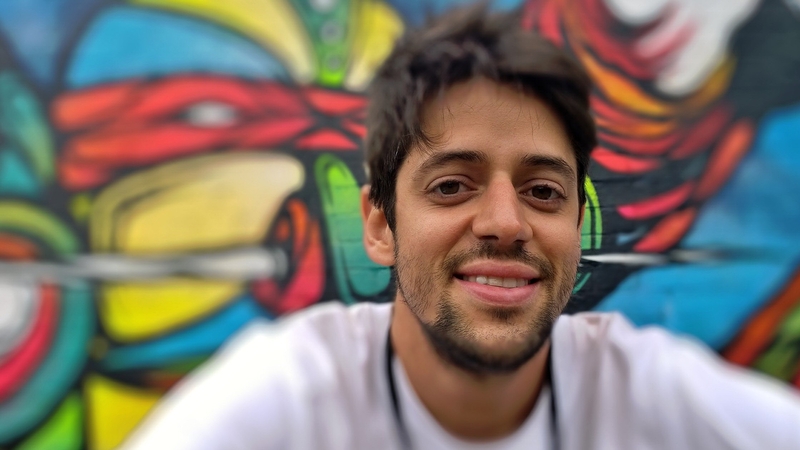 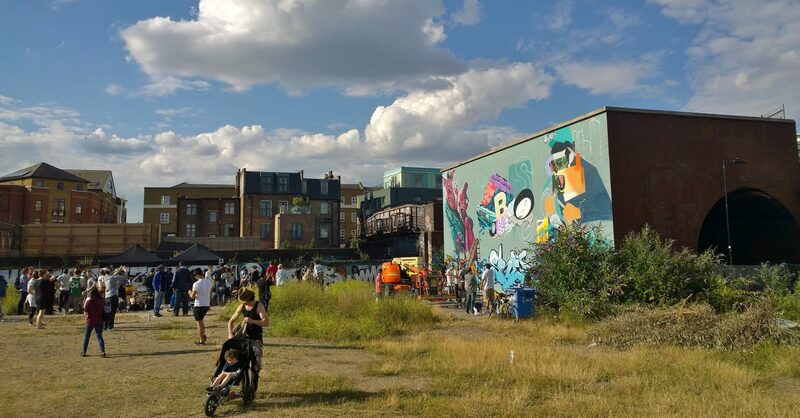 Curated by End of the Line, the Rockwell House based artistic outfit managed to assemble a huge array of artistic talent and a whole array of walls from around the Shoreditch area of the city. 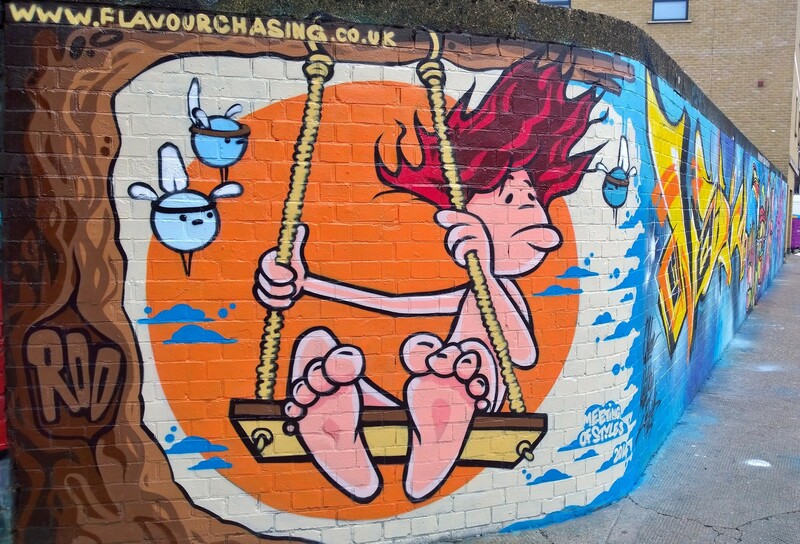 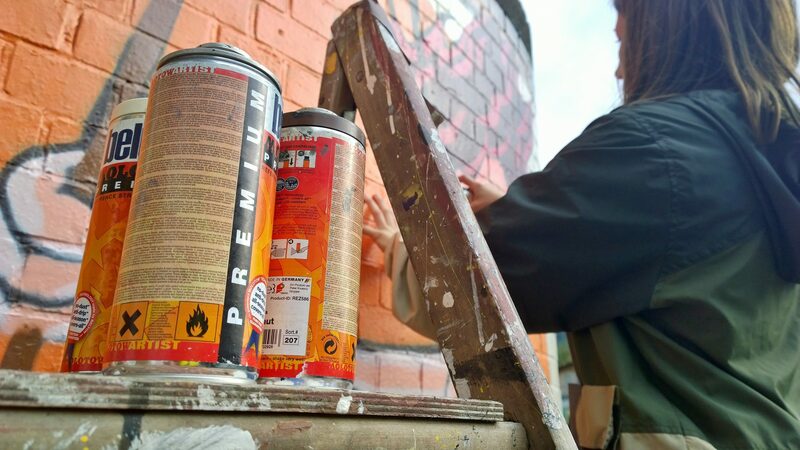 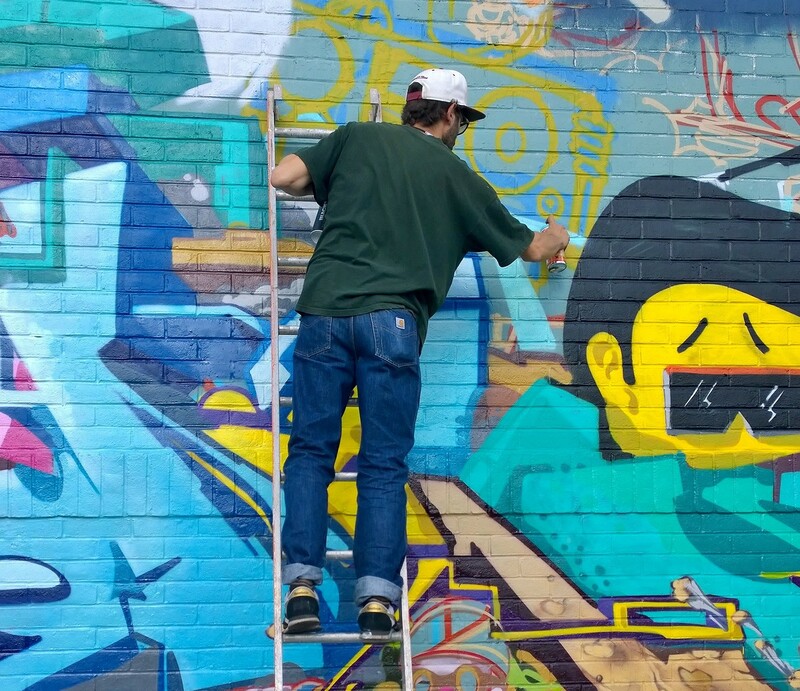 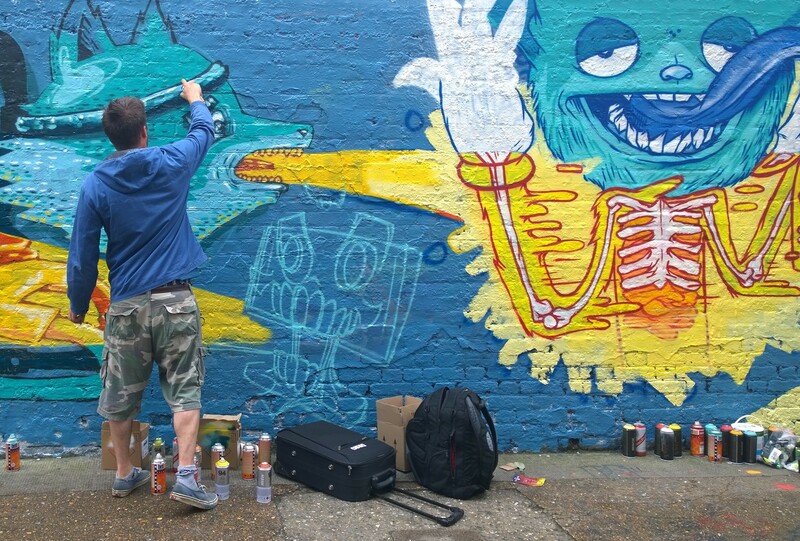 Taking place over the weekend of 5th and 6th June 2014, the main focus of activity was around the Brick Lane area with Pedley Street, Sclater Street, Braithwaite Street, Whitby Street, Chance Street, Hewett Street and New Inn Yard all receiving makeovers. 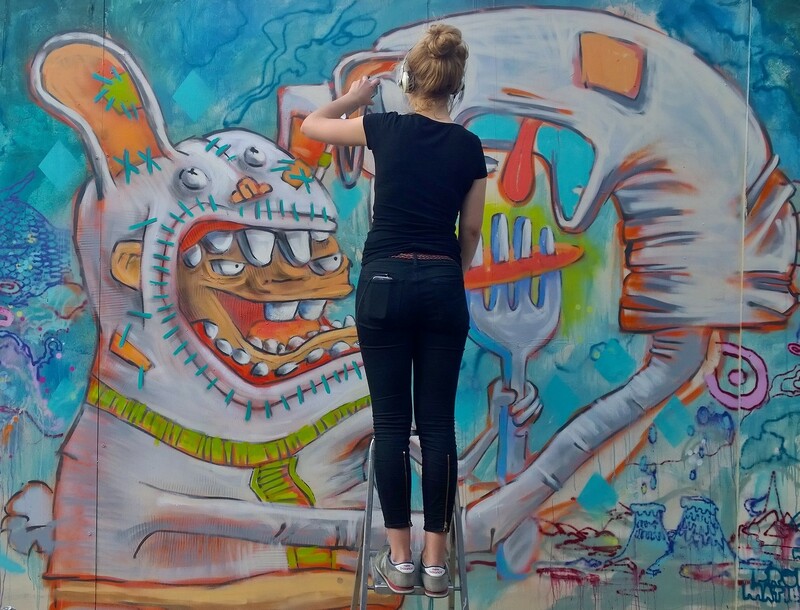 The event was an outdoor art extravaganza with artists from all kinds of backgrounds just doing what they do best. 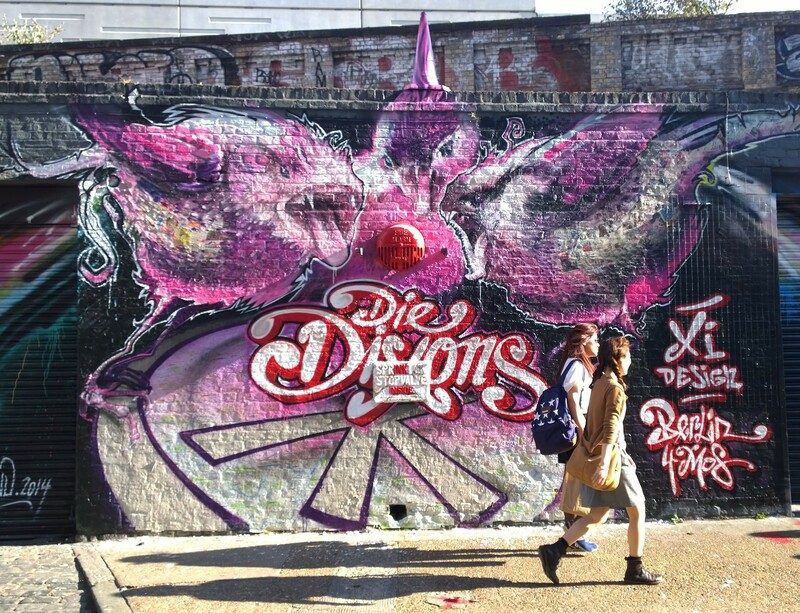 Highlights for me included the Lost Souls crew combining on a typically fun mural on Sclater Street; Louis Masai painting an Orangutan on Pedley; Gent, Vibes and a whole host of others sharing a cherry picker to paint a huge mural close to the railway; Zina going blue on Chance Street; Dan Kitchener going big next to Inkie on New Inn Yard, an epic mural on Whitby Street and of course being able to discover a whole host of new artistic talent. 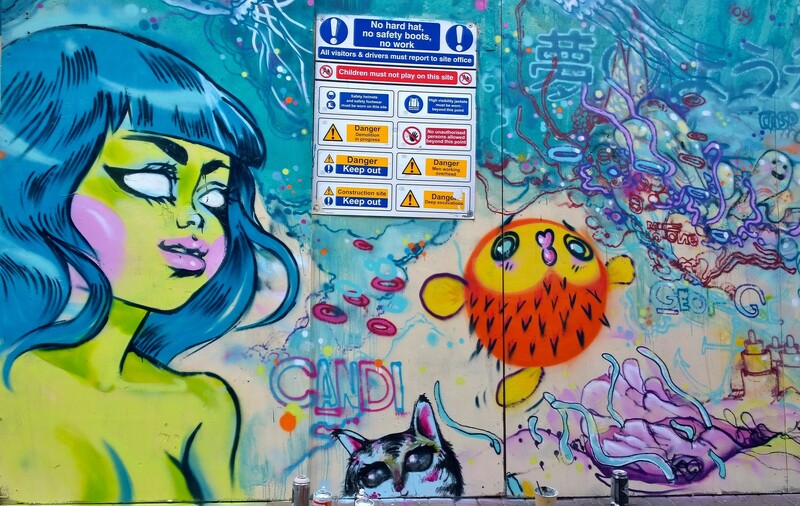 So for this post I’ve pounded the streets of Shoreditch over the past couple of days and visited all the spots picking out some of my favourites. 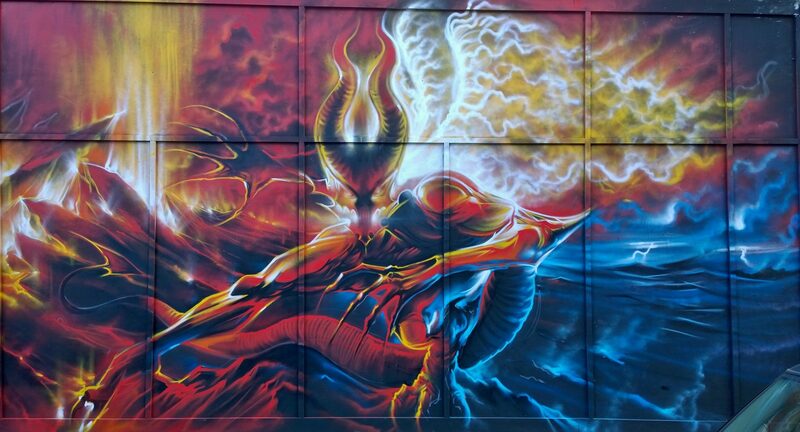 Be warned there’s a lot of pics but then there were a lot of walls and a lot of artists on this the biggest street art weekend of the year so far. 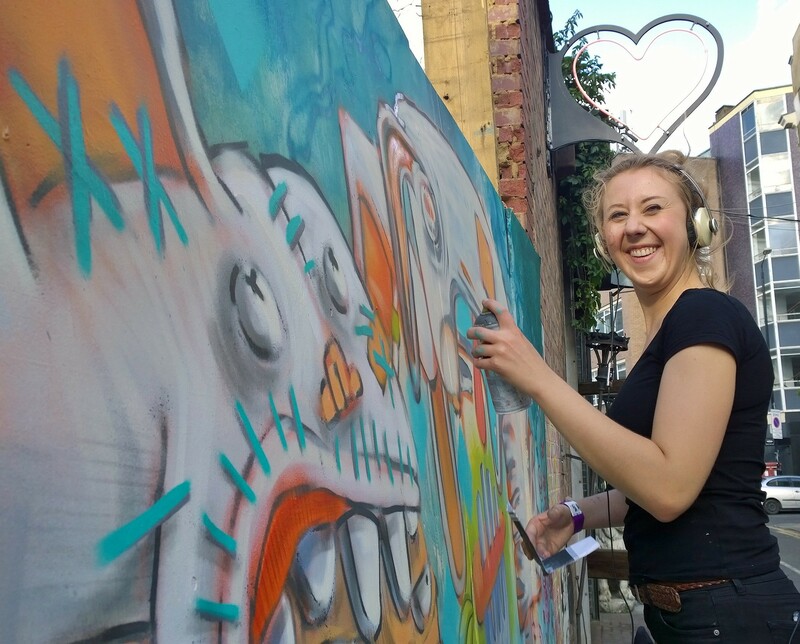 Around the corner on Whitby Street, Elph making a start. 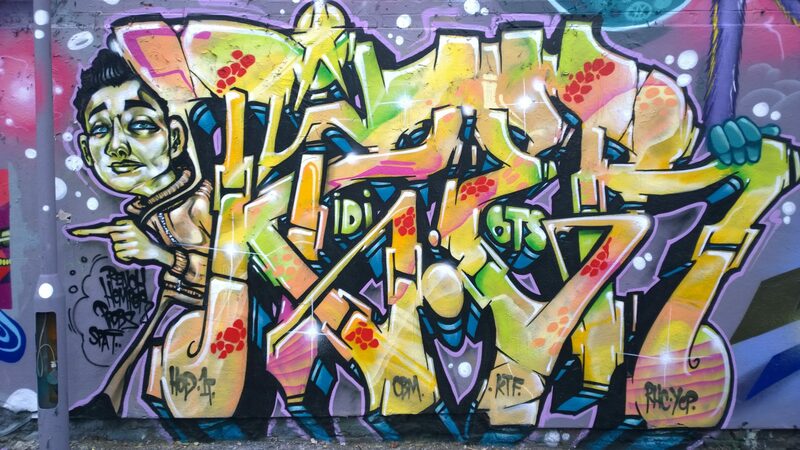 Reblogged this on 'diff graff. 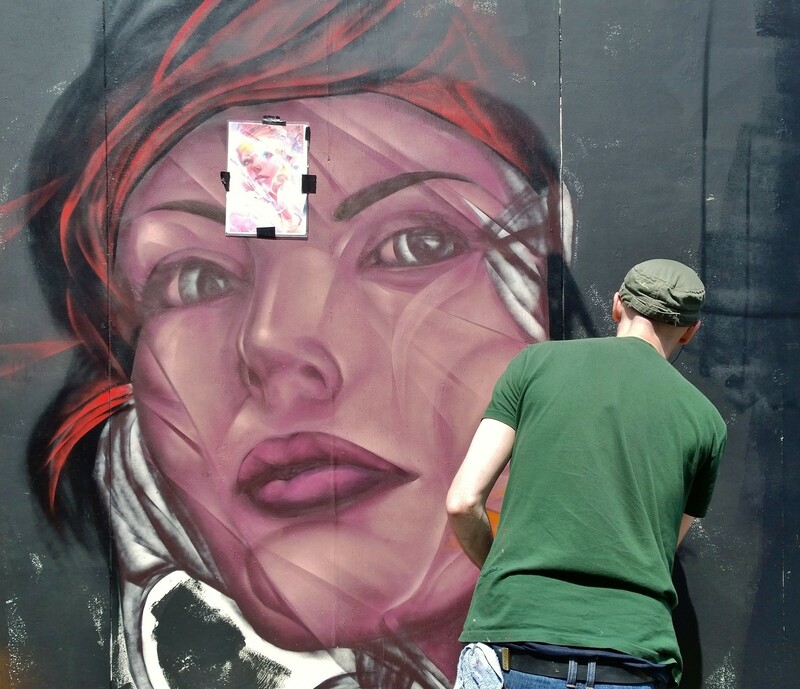 Great coverage of the event – unknown artist on Pedley Street is CRIMEAN, as he drew in my black book on Friday!